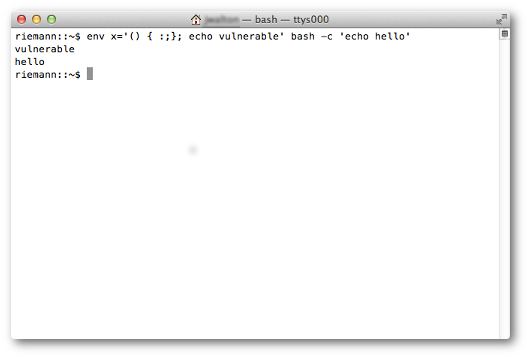 Given that Bash 3.2 (the version shipped by OS X) is vulnerable to the remote execution exploit known as "Shell Shock" (CVE-2014-6271 and CVE-2014-7169) how do I rebuild Bash and secure my system ahead of an official Apple patch? UPDATE: Note that Apple has now released the official patch. See below for details. The Apple patch takes care of Shellshock and several other vulnerabilities and is fine for most people. tl;dr people can stop reading here. HOWEVER, the attention drawn to bash by the Shellshock bug has caused many researchers to take a hard look at bash and more and more (hard to exploit) vulnerabilities keep being found. If you are highly concerned about security (because maybe you are running OS X Server to host a publicly available web site) then you may want to (try to) keep up with the vulnerabilities and patches as they keep rolling in by compiling bash yourself. Otherwise, don't worry about it. Look for Apple to release another update to bash some time in the future when the dust settles on finding further vulnerabilities. An official set of patches of bash itself for bash 3.2, patches 52, 53, and 54 (which correspond to Bash 4.3 patches 25, 26, and 27) are available which fix both CVE-2014-6271 and CVE-2014-7169, as well as the 'Game over' displayed below. This has been tested by me (@alblue) and the post has been updated accordingly (and then additional updates were made: see revision 41 for the post that stops at patch 54). Many additional vulnerabilities have been reported against bash. According to Michal Zalewski's post if you have patch 54 (and presumably Apple's official patch) "there's no point in obsessing about the status of these individual bugs, because they should no longer pose a security risk:"
CVE-2014-6271 - original RCE found by Stephane. Fixed by bash43-025 and corresponding Sep 24 entries for other versions. CVE-2014-7186 - a probably no-sec-risk 10+ here-doc crash found by Florian and Todd. Fixed by bash43-028 & co (Oct 1). CVE-2014-7187 - a non-crashing, probably no-sec-risk off-by-one found by Florian. Fixed by bash43-028 & co (Oct 1). CVE-2014-6277 - uninitialized memory issue, almost certainly RCE found by Michal Zalewski. No specific patch yet. CVE-2014-6278 - command injection RCE found by Michal Zalewski. No specific patch yet. See David A. Wheeler's post for a timeline and greater detail. @alblue posted build instructions through patch 55. I (@OldPro) added patch 56 and 57 to the instructions but have not tested it. The above output is an example of a vulnerable bash version. If you see a date in the output of that command your bash is vulnerable. Disabling auto-imported functions to prevent "Game Over"
The above code on an affected system would display Game Over instead of the directory listing you would expect from ls. Obviously, echo 'Game Over' could be replaced by any nefarious code you want. This became know as the "Game Over" bug. Prior to the availability of patch 54, both NetBSD and FreeBSD disabled auto-importing bash functions by default, partly to prevent "Game Over" but mainly to contain any further errors in the parser (such as CVE-2014-7169) as they were continuing to be discovered, and added a new command line flag --import-functions to re-enable the old default behavior. I (@alblue) have prepared a patch (against 3.2.53) for others to use if they want to adopt this behaviour as well and have included it below. By default this patch is not enabled in the build script below. I (@OldPro) believe this patch is no longer necessary or a good idea, because it breaks backwards compatibility and the vulnerabilities it protects against are very well addressed by patch 54 and earlier patches, and enabling this unofficial patch prevents future patches from being applied. The patch can be enabled by running export ADD_IMPORT_FUNCTIONS_PATCH=YES before running the build. Note that enabling this patch will disable patch 54 and any future patches because future patches cannot be guaranteed to be compatible with the unofficial patch. Users should decide for themselves how important this is. I (@OldPro) think it is nothing to worry about because there is no known exploit for this behavior (it was not even given a CVE identifier) because in general unprivileged remote attackers cannot set the name of an environment variable and attackers with privileges cannot use this to gain privileges they do not already have (at least not without exploiting an additional vulnerabiltiy). This happened because export -f ls created an environment variable named ls. The "Game Over" vulnerability was that you could directly create this environment variable without having to first define the function, which meant if you could inject the right variable name you could hijack a command. Apple tried to fix this by making it hard to create a variable with the right name. The official bash patch 54 actually makes it impossible to create a variable with the right name by using variable names that include % which is a character not allowed in a variable name, effectively putting exported function definitions in a different, reserved namespace. If none of the above makes sense to you, don't worry about it. You are fine with the Apple patch for now. For security, and after testing, I recommend that you chmod -x the old versions to ensure they aren't re-used, or move them to a backup site. Other answers have solutions for those using MacPorts or Homebrew; these don't fix the problem, they just install additional versions of Bash. Please see those answers if you want to upgrade those specifically. Thanks to Chet, who looks after bash, and has been making these patches available. Thanks to everyone else who has commented on this and improved it over time. Now Apple has released the real fix, though this might still be useful. Because they only released a fix for Lion and up, and the official patch provides GNU bash, version 3.2.53(1)-release (x86_64-apple-darwin13), however, the Game over bug is still somewhat vulnerable. At this point, rebuilding your own version of Bash against 3.2.57 is probably more secure than relying on Apple's patch, unless you do it wrong. This gets you a bash version 4.3.28(1) which patched both vulnerabilities (CVE-2014-6271 and CVE-2014-7169) as well as some subsequently discovered ones. This is useful if you have changed shells to use Macports bash to get the version 4 features. This patch changes the encoding bash uses for exported functions to avoid clashes with shell variables and to avoid depending only on an environment variable's contents to determine whether or not to interpret it as a shell function. This means that the Apple official 3.2.53 binary contains equivalent security to the vanilla GNU 3.2.54 binary. An unfortunate point of confusion, but it is what it is. Apple's fix is not half-baked. It appears to be a complete fix for the problem. As such, the below roadmap to compiling vanilla bash and sh from GNU source should be considered a historic artifact and possibly consulted as a template for how to do patches in the future should they be necessary. NOTE: With the vanilla GNU source, sh has privilege elevation problems that cause failures in various installers, e.g., Adobe Flash. I strongly recommend sticking with the Apple-patched binaries. Consider this patch scheme to be deprecated and ill-advised. There are two local buffer overflows in parse.y that can cause the shell to dump core when given many here-documents attached to a single command or many nested loops. We leave it up to the gentle reader to determine whether to sit with the official Apple-patched binaries or roll your own to deal with the new possible exploits. Personally, I will be sticking with the Apple binaries. 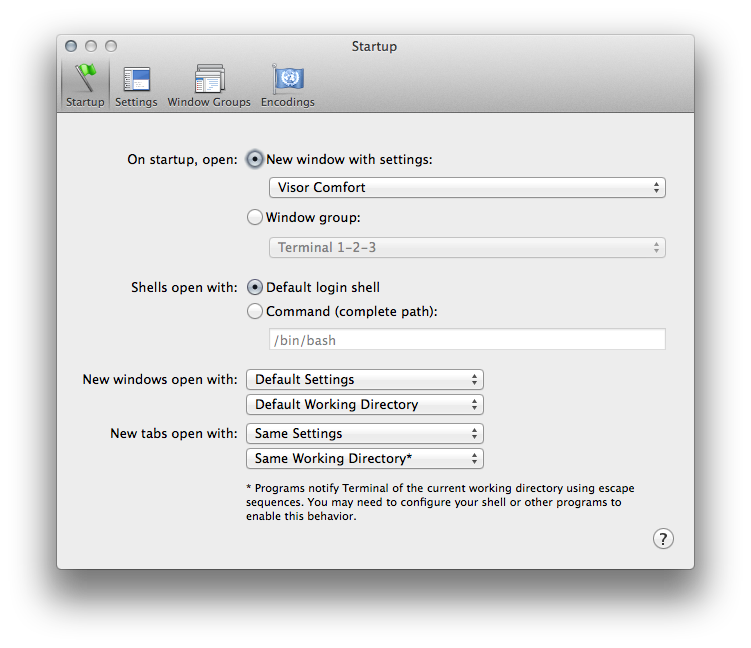 This post details how to compile and install a vanilla bash and sh on OS X. I chose this route as following examples detailing using Apple-specific source did not leave me with the correct patch revision. YMMV. This vanilla installation is, however, targeted at replacing the OS X binaries such that when Apple does finally release a security update, these vanilla replacements will be usurped by by their proper Apple counterparts. OS X Lion 10.7.5 and Xcode 4.6.3 with all command-line utilities installed. I saved them as $filename.patch, e.g., bash3.2.50.patch. This should show successful patches of various files. If not, be prepared to do some exploration and investigation. That basically backed up your old, vulnerable bash and sh shells and removed their executable privilege. That gives you the capacity to restore the commands as necessary, but removes their ability to do damage in the meantime. This should correctly configure, compile and install the new bash binary into /bin. After it's done, exit Terminal and reopen. The exact output in the command above will differ depending on your version of OS X. You should also be able to test your vulnerability against bash and find that it is fine. Now you'll have built sh almost exactly as Apple would. First, patching bash and sh for this vulnerability is likely to break some scripts on your Mac. You really don't need to do this unless you are are offering web services to the public internet directly from your Mac. So if it is really not necessary, wait until there is an official security update from Apple. Being warned, here are some instructions on how to do this update using Brew on Mavericks 10.9. A warning — this may break some existing shell scripts that might rely on bash 3.2 or the differences that the Mac sh has over the linux sh. There is a much more sophisticated answer to replacing bash and sh from sources, from an answer by @TraneFranks in this same thread. note: In the comments some users do not think this method is appropriate. But for me this is the only comprehensible method for upgrading BASH on OS X 10.6.8 Snow Leopard. How can I change the default bash look?